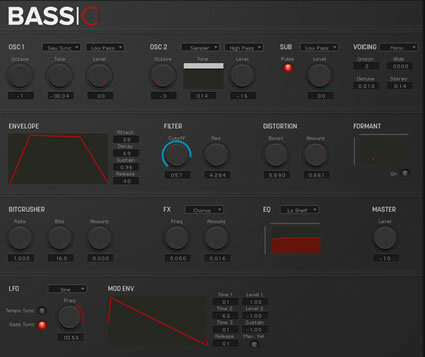 Introducing BASSIC, a Reaktor synth made with the modern electronic producer in mind. Stripped of all the things that can distract or confuse when designing killer bass music instruments, BASSIC has all the basic components needed to create professional sounds in just a matter of minutes! No more spending countless hours dialling in settings across parameters that aren’t even necessary. No more complex routing decisions. And no more time spent on things that only seem to derail the creative process! We created BASSIC with one thing in mind – Simplicity. We wanted a synth that the common producer or musician can use without the need for a lot of learning or experience just to make some nice bass music synths. Right now, we are seeing deeper and more complex synths being released than ever before. Yes, they can do more and that’s great! But what about people who are not experienced sound designers? What if you don’t want to invest hundreds of dollars into another plugin? This is exactly why BASSIC was made and why it can help you produce more music! The oscillators have bandlimited hard sync. The filter has zero delay feedback with saturation. The whole synth is open source. OSC 1 – There are six options – Saw, Square, Triangle, Saw Sync, Square Sync, and Triangle Sync. All of these oscillator types are based on virtual analog algorithms. OSC 2 – Similar to OSC 1, OSC 2 also includes a sampler with 128 sample slots available. Now you can layer your own samples into your synth sounds! OSC 3 – The Sub Oscillator runs one octave lower than the pitch of Osc 1, ignoring the Tune knob. Feel your ribs rattle! The filter in Bassic is a little atypical. It has three audio inputs, for low, band and high pass effects. Each oscillator can be routed to any of the inputs. The knobs control parameters for all three filters simultaneously. Bassic comes loaded with several powerful effects. Distortion, Formant and Bitcrusher have their own panels with a final FX panel that includes Vibrato, Flanger, Chorus and Doubler. The EQ section has three EQ filters – a Low Shelf, a Peak, and a High Shelf. One of Bassic’s stand out features is the ability to modulate any knob or parameter on the synth. You can control the knobs with any of the following – sine, triangle, ramp, saw, and pulse wave. There’s also an editable envelope that can be used. Simply right click and drag to set the modulation depth! 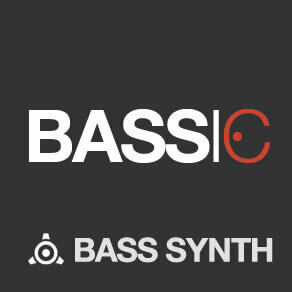 Bassic comes loaded with presets from award winning sound designers OhmLab and BHK samples.